JCB has brought the 525-60 Agri Compact Loadall to Australia. JCB Construction Equipment Australia (CEA) has announced the introduction of the 525-60 Agri Compact Loadall to its range. CEA spokesperson Greg Sealey is confident that its versatility will make the new loadall popular on Australian farms, especially considering the recent demand for smaller machines. "The 525-60 Agri Loadall is small enough to access older farm buildings with doorways under 2m wide, but with the added benefit of greater reach capabilities usually only found on larger telescopic handlers," Sealey says. "This machine is ideal for general handling in and around the farm. The 6m lift height makes it very versatile and well-suited to tasks like stacking bales." The 525-60 Agri has a 2,500kg lift capacity, and is designed for small to medium sized dairy, beef, pig and poultry operations — where machine size is an important consideration. The 525-60 Agri is 1.97m high, with a narrow width of 1.84m, allowing it to access very tight operating environments like poultry sheds and outbuildings. 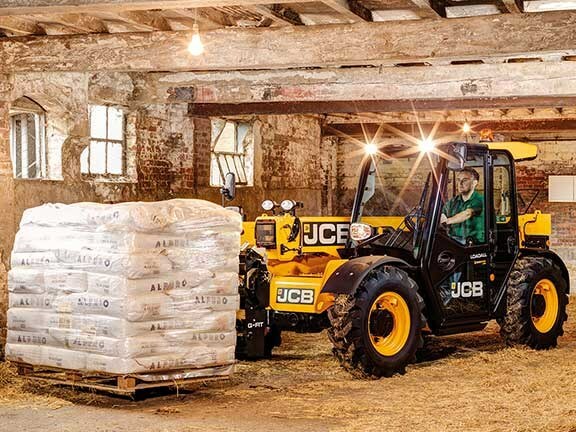 "This machine boasts all the features that are found on the larger JCB Agri Loadalls, but in a compact package," Sealey says. The 525-60 Agri Loadall also offers optimum engine performance, according to JCB, with a wide core cooling package containing a hydraulic reversing fan which efficiently removes built-up debris from the cooling pack. "The Loadall is equipped with a JCB Diesel by Kohler T4 Final engine, which produces 300Nm of torque at just 1400rpm, and doesn’t need costly DPF or DEF after-treatments," Sealey says. "Loading performance is also improved, with a lift capacity of 800kg at 3.3m forward reach, and for improved load retention and operator comfort, the Loadall can be equipped with our optional Smoothride System (SRS), which isolates the boom and load from chassis movements." The machine is also fitted with JCB’s auto bucket control technology, allowing for rapid shaking of the bucket or muck fork with minimal joystick movement, ejecting material quickly and increasing productivity. "On-farm safety is of upmost importance, so the cab of the 525-60 is also ROPS and FOPS certified, and fitted with JCB’s innovative Adaptive Load Control feature, which automatically prevents your machine from overturning forwards during heavy load handling," Sealey says. 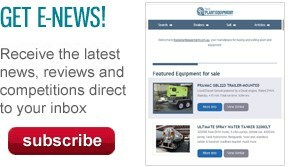 If you're looking for telescopic handlers for sale, check out our listings.